The Simpsons have done a lot of unusual things over the years during the famous introduction sequence in which Homer and family rush in to their living room and sit down on the couch in front of the television. 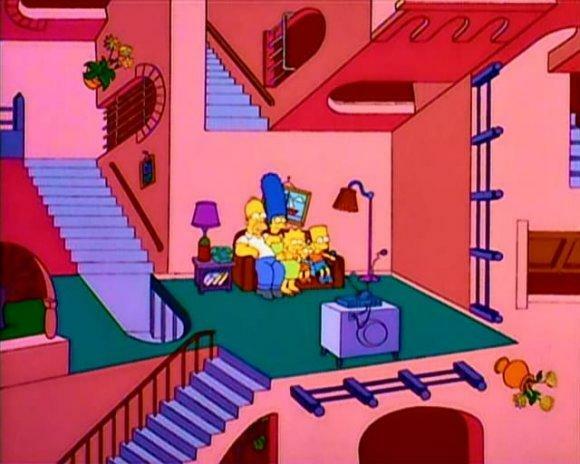 In series 6 one episode paid tribute to M. C. Escher's famous "relativity" lithograph, the result is an alternative view of the Simpsons sitting in their living room. LOL! the simpsons are the ones who are the wrong way round.